Product degassing requires the use of extruders that help compress highly viscous substances. This process will help free these substances from solvents. Using a vacuum pump, low boiling point solvents are evacuated. The same product is helpful in removing air that may have entered into the material through possible leakages. 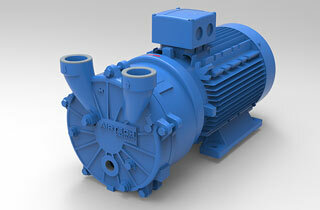 You can get vacuum pumps for degassing purposes from Airtech Vacuum Incorporated. Degasification is the process where dissolved gases are removed from liquids specifically aqueous solutions or water. Gases are removed from liquids for a variety of reasons. For one, chemists have to remove gases from solvents particularly when they are working with compounds that are either air or oxygen sensitive. The same is true when bubble formation becomes evident in between solid and liquid interfaces. When a liquid is frozen and is already undesirable at that state, formation of gas bubbles become evident thus necessitating degasification. Among the most common techniques associated with degasification are pressure reduction, membrane degasification, thermal regulation, addition of reluctant, substitution by inert gas, and freeze-pump thaw cycling. Among these pressure reduction is one that is done through vacuum pumps. There are several other instances when degasification may be needed. Gas solubility has to be achieved in that the amount of gas that has been dissolved in a liquid should be in proportion to partial pressure. Using reduced pressure, the dissolved gas can become soluble. The usual processes used to achieve these results are through sonication and stirring under reduced pressure. This will result to better efficiency as well. Also known as vacuum degassing, this makes use of specialized vacuum chambers or degassers which aid in pressure reduction. Why Choose Airtech Vacuum Incorporated For Degassing? 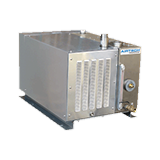 Founded in 1982, Airtech Vacuum Incorporated has made a name in the world of manufacturing a variety of vacuum and blower technologies like oil-free vacuum pumps, oil-flooded rotary vane vacuum pumps, high pressure regenerative blowers, and more. Our team of experts works hard to serve the needs of various industries and as such, we have been known best for our unparalleled technologies. Our regenerative blowers and vacuum pumps for degassing are highly dependable, can be easily installed, and offer no-hassle operations. Airtech technology is backed by certifications from RoHS, CE, CSA, UL, and ISO. Since we are known not just for delivering products but also for doing custom work to suit a specific industry’s requirements, our knowledgeable engineers are more than willing to analyze each situation accordingly. From there, pressure-based and vacuum technologies will be made. We take pride in the quality of work we perform and we always make sure that you get these products at the most competitive rates. This is our guarantee that you will have the best shopping experience with us. What are you waiting for? Start browsing through our inventory today and source for top-notch degassing vacuum and pressure products with exceptional ease!